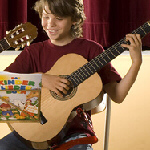 Guitar rests have established as playing assistance in the modern guitaristic. 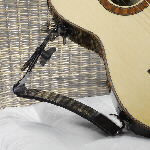 When developing the guitar rest Ergoplay especially ergonomic requirements were successfully realized. With a healthy posture due to Ergoplay, not only an improving performance can be reached. The appearance of postural deformity can reliably be prevented by avoiding malposition. 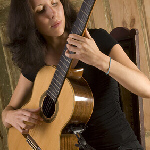 For Spanish guitar and other stringed instruments. For guitars for children with small ribs. The Ergoplay Model Series covers a broad range of application, of which musicians, amateurs and beginners profit in equal measure. All models are also available in a special edition for sinistrals. Special indications for the application of the individual models can be obtained in our application table.